Begin today living life with your heart wide open! 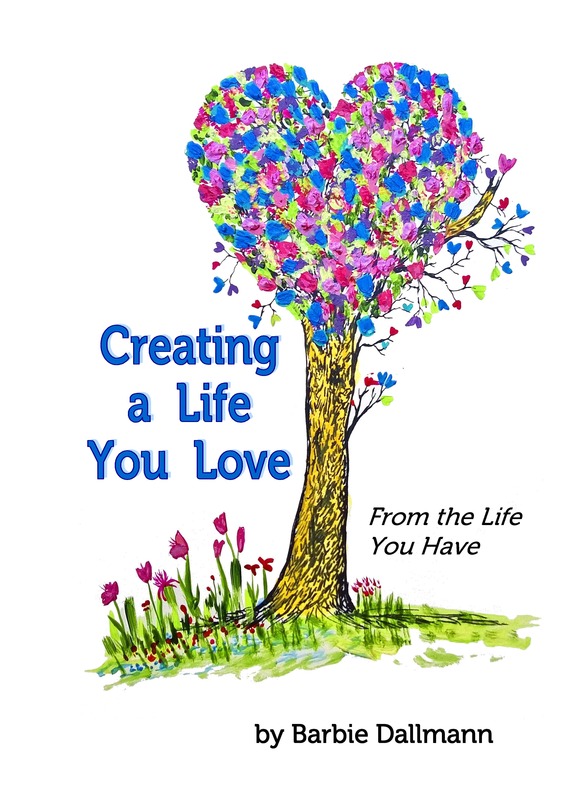 Creating a Life You Love is an easy-to-use tool that enables readers to discover and nurture seeds of joy and delight, seeds that have the power to grow and flourish with just a little regular attention. As you shift your daily focus from problems and worries to the many blessings and joys scattered throughout the years, gratitude increases, as well as joy, self-confidence and courage. With the help of the exercises in this book and some basic supplies (pens, paints, colored pencils, stickers, highlighters, etc. ), you’ll soon become a curious explorer of your own life. It’s easy. It’s pleasurable. And it takes just a few focused minutes each day. Team up with a loved one and go through the book together! The exercises are perfect for couples, parents and children, even for support groups. Complete the book and give it to your children or grandchildren as a way of preserving and sharing your fondest memories. It’s also the perfect gift for birthdays and special occasions. It’s especially meaningful for times of new beginnings like weddings and graduations. Printed on a heavy, coated paper, the pages will easily accept paints, permanent markers, and all types of inks without bleed-through. Spiral binding allows the book to lie flat for easy writing and drawing. Once completed, the book will serve for years to come as a reminder of the choice you have made to create a life you love!